The Illinois High School Association (IHSA) Board of Directors met at its regularly scheduled meeting at the IHSA office in Bloomington on Wednesday, October 11, 2017, where the Board voted to elect its officers for the 2017-18 school year. Erie High School Principal Tim McConnell was voted as the Board President, becoming the 37th individual in the Association’s history (dating back to 1903 when Aurora’s C.P. Biggs was named the first President) to serve in that role. McConnell has served on the Board as the representative from Division 4 since 2012, and was re-elected to his seat for a three-year term earlier this month. McConnell served as the Board’s Vice-President in 2016-17, and was interim President for the meetings in August and September, filling in for East Peoria’s Chuck Nagel, who was the President in 2016-17, but retired over the summer. Andrew High School Principal Robert Nolting was voted by his fellow Board members to the Vice-President position after serving as the Secretary last year, while Rockridge High School Principal Katy Hasson was tabbed to succeed Nolting as Secretary. 2. The Board approved a recommendation to create an ad hoc committee to review IHSA Policy 17 (classifications, multiplier, waiver policy & success adjustment formula). 4. The Board approved a recommendation to make Champro Sports the official lacrosse ball of the IHSA Boys Lacrosse State Series and IHSA Girls Lacrosse State Series for the 2018, 2019 and 2020 seasons. The Champro lacrosse balls will be used in all IHSA Boys Lacrosse postseason contests and all IHSA Girls Lacrosse postseason contests, including the inaugural State Finals this spring. 5. The Board approved a request to amend the host facility payment for the IHSA Football State Finals at Huskie Stadium. 6. The Board approved a change to IHSA Board Policy 37, increasing the maximum Baseball Pitch Limit in State Series games to 115 pitches. ADVISORY COMMITTEE RECOMMENDATIONS Minutes from all Advisory Committees can be viewed by clicking here. Baseball/Softball1. The number of officials assigned to work the IHSA Baseball & Softball State Finals will increase from six officials to 12 officials per weekend. Track & Field1. State final qualifying standards for the 2018 season approved. Bass Fishing1. Sectional dates moved from Friday to Thursday. APPEALS & ELIGIBILITY RULINGS1. The Board sustained the Executive Director’s ruling on a student from Mundelein (Carmel). 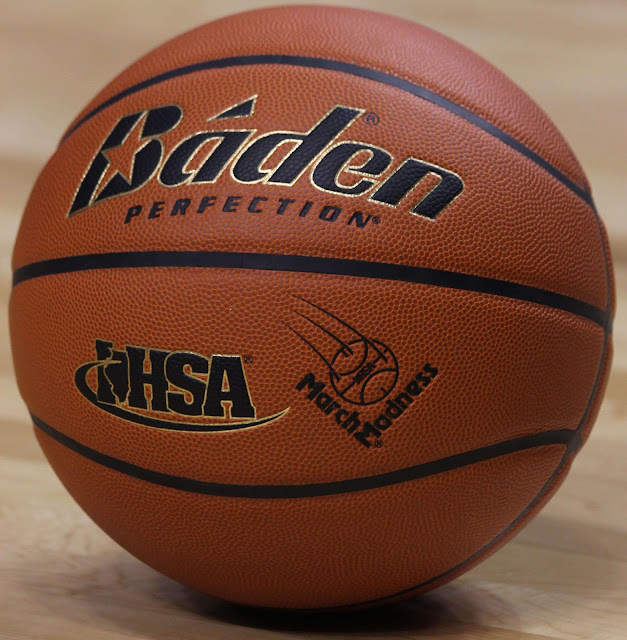 The student was ruled ineligible for non-compliance with IHSA By-law 3.030 and 3.040. 1. The Board heard a report from the Executive Director on the NFHS Section IV Meeting which was held September 21-22 in East Lansing, Michigan. 2. The Board heard a report from the Executive Director on the by-law proposals that have been submitted for the upcoming legislative process. 3. The Board heard a report from the Executive Director on the IHSA New Administrators Workshop held at the IHSA office on October 4, 2017. 4. The Board heard a report from the Executive Director on the IHSA’s role in the recent IASA Conference in Springfield, as well as the IHSA’s plans at the upcoming IPA Conference in Springfield. 5. The Board heard a report from the Executive Director on a recent meeting with CPS Athletic Administration officials. 6. The staff and Board welcomed new IHSA Coordinator of Special Programs Raye McDonald, as well as new Board members Diana Brown (De LaSalle), Amy McMahan (PORTA), and Kurt Tenopir (Fremd).